Engineers creating life and mission-critical embedded systems that want to add Linux or Android environments must still satisfy requirements for safety, security and reliability. Important business-driven benefits include reduced platform cost, a scalable software foundation, separation of open-source software, and reduced software complexity. 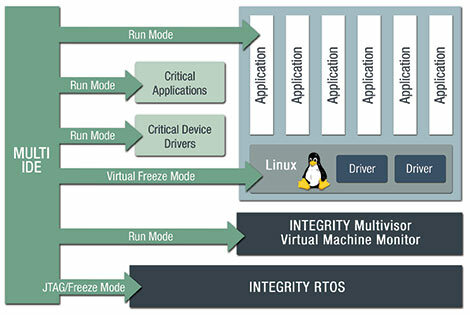 INTEGRITY Multivisor enables general purpose operating systems, such as Linux or Android, to safely and securely run alongside life and mission-critical software on the same multicore processor. Embedded designers are increasingly turning to system virtualization to dramatically transform development of complex systems. Virtualization consolidates disparate systems onto dedicated virtual machines, running on a single hardware platform. In addition, hardware abstraction enables platform reuse and rapid migration to new hardware. 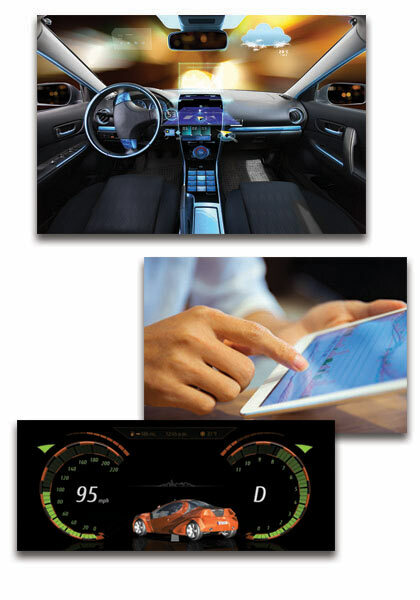 Since 2003, INTEGRITY Multivisor has delivered on this promise for devices in automotive, industrial, avionics and mobile platforms. 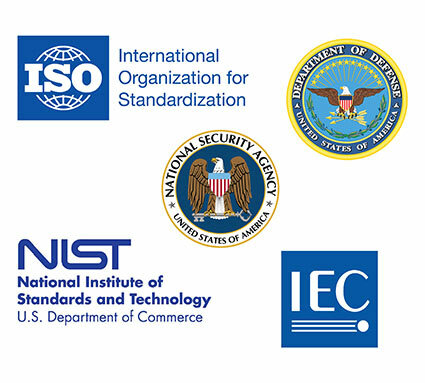 INTEGRITY Multivisor has been the industry's only safe and secure certified architecture to simultaneously run one or more guest operating systems alongside life and mission-critical functions on a wide range of multicore SoCs. Purpose-built to address the most difficult embedded challenges, INTEGRITY Multivisor enables rapid, optimized and cost effective complex system designs without compromising safety, security or performance. As the diagram illustrates, INTEGRITY's trusted real-time and separation partition architecture executes multiple arbitrary guest operating systems alongside mission-critical real-time software functions. Applications and guest operating systems are efficiently scheduled across one or multiple cores, can communicate efficiently with each other and share system peripherals, such as GPU or Ethernet, according to a strict access control model. Many hypervisors bundle the software required to support guest environments, such as device drivers and middleware, in a monolithic architecture. The results look much like a general purpose operating system with exposure to unknown vulnerabilities and many shared failure points. Numerous virtual machine “escapes” and other subversions have been discovered in other hypervisors such as Xen, VMware and commercial hypervisors. 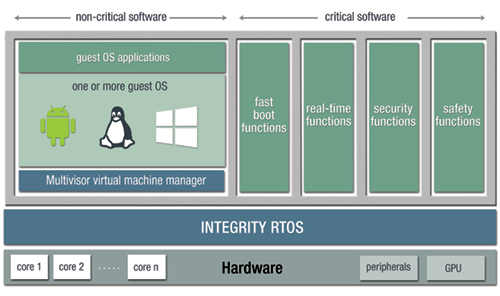 In contrast, INTEGRITY Multivisor is a virtualization service for the safe and secure INTEGRITY RTOS separation kernel, already certified to isolate and protect software components in the most critical environments. The MULTI debugger provides complete and unified visibility and control into all executing software components of a virtualized system including the Linux kernel, INTEGRITY RTOS, device tree, applications and device drivers. A virtualized embedded system increases the number of software levels running simultaneously. Debugging the associated code and their interactions is far more complex than a traditional embedded system. Without straightforward visibility into the layers of executing code, the developer's productivity plummets and new product schedules suffer. In the early 1990s, the MULTI debugger was the first commercial graphical debugger capable of debugging multiple embedded operating systems, languages and processors running on various desktop operating systems. In this age of embedded virtualization, the MULTI debugger achieved another "first" by extending its deep visibility and control to this complex target environment.